"Collaboration and dialogue are also the foundation for everything Jon has outlined in precise detail in this book. They should be every filmmaker’s mantra for the days ahead. It is not a question of "just doing it"… Eat up every morsel Reiss provides. Internalize it and make it your second skin." 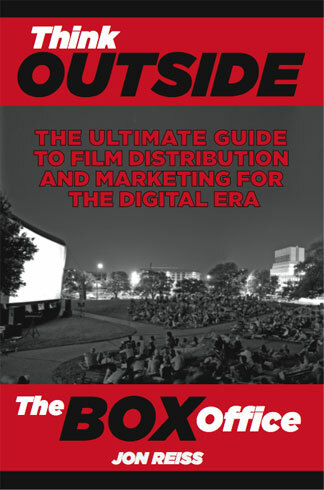 In writing my book Think Outside the Box Office (TOTBO), I drew on my own experiences distributing my film Bomb It, in addition to interviews with countless other filmmakers, distributors, publicists, web programmers, festival programmers and marketing experts to create the first step-by-step nuts and bolts guide to marketing and distributing a film in the 21st century. My goal was to provide a written resource to help other filmmakers and media content creators achieve their goals in distributing and marketing their films. 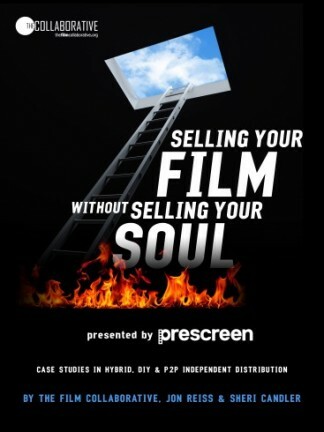 Written with TFC co-executive directors Orly Ravid and Jeffrey Winter and marketing/social media strategist Sheri Candler, SELLING YOUR FILM WITHOUT SELLING YOUR SOUL is a series of in-depth Case Studies examining the ways that today’s filmmakers are approaching new distribution models. Case Studies featured in include Ride The Divide, The Cosmonaut, Sita Sings the Blues, Note by Note, Bass Ackwards, Adventures of Power, American: The Bill Hicks Story, Undertow, For the Bible Tells Me So, and webseries PioneerOne. SELLING YOUR FILM WITHOUT SELLING YOUR SOUL seeks to demystify the myths around indie film distribution, and present accurate pictures of revenue models, marketing strategies, distribution spends, and detailed ancillary and digital distribution numbers. The goals is to peer behind the curtain of secrecy usually associated with distribution, and celebrate the independent spirit of many indie filmmakers today who take matters into their own hands rather than wait for traditional deals to bring their film to marketplace. Other areas covered include sales numbers, grassroots outreach, relevant tools and services, crowdfunding, and community building. The Modern Moviemaking Movement covers the four key areas of filmmaking: screenwriting, film financing, filmmaking and modern movie distribution. Specifically, The Modern Moviemaking Movement focuses on helping filmmakers produce their movies, grow their fan base, build “buzz” and make filmmaking into the next small town, global business. 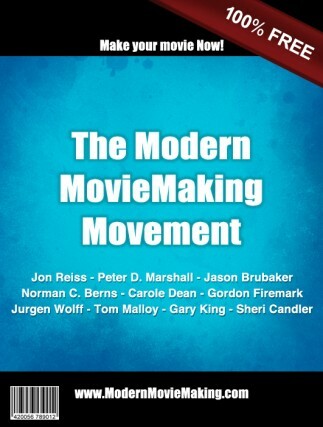 Jon Reiss contributed to The Modern Moviemaking Movement, the free filmmaking action guide and eBook. The other contributors include Jurgen Wolff, Norman C. Berns, Gordon Firemark, Tom Malloy, Carole Dean, Peter D. Marshall, Gary King, Sheri Candler and Jason Brubaker. 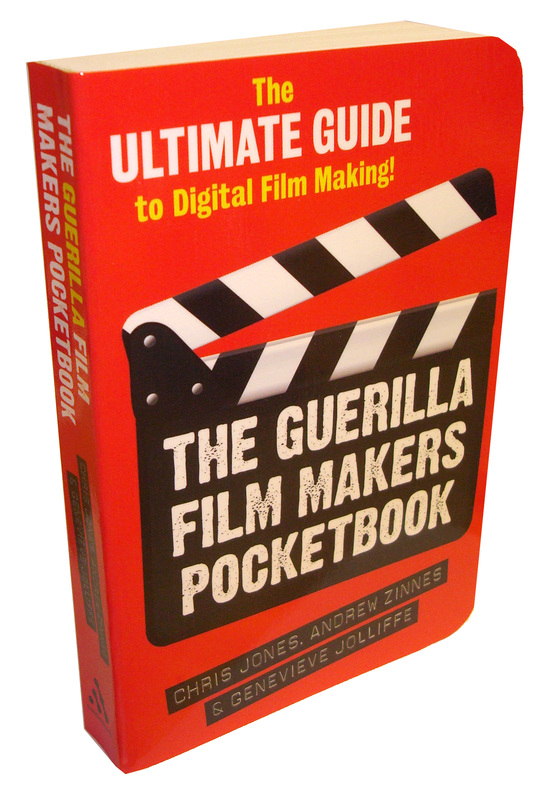 The Guerilla Filmmakers Handbooks are the Rolls Royce of Film Guides. Passionately written and entertaining to read, this is a brilliant how-to book that makes you want to start plotting your movie straight away. Jon Reiss also contributed a chapter to The Guerilla Filmmakers Pocketbook entitled “Beyond Traditional Distribution.” Crammed with information, bang up to date, and designed to snugly fit in any film makers pocket, the new tiny shiny Guerilla Film Makers Pocketbook is the natural evolution for the hugely successful series of handbooks which have now sold over 100,000 copies. 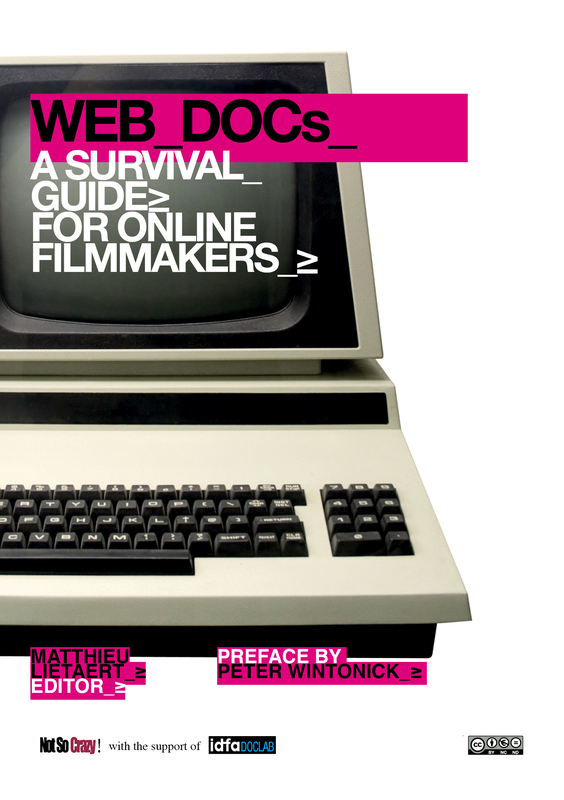 A “survival guide” that was designed to provide journalists and filmmakers with some of the basic tools required to develop their own webdocs or cross-media projects. How to think in terms of interactivity? How to reach your audience? How to develop a successful funding strategy? How to pitch or crowdsource successfully? How does the web affect storytelling? To answer all these questions, this unique book brings together interviews with 30 world famous cross-media experts, producers or authors. About the editor : Matthieu holds a Ph.D. in Political Sciences and works as a consultant, producer and director @ Not So Crazy! Productions. Jon Reiss contributed a chapter to the Building your audience portion of the book. 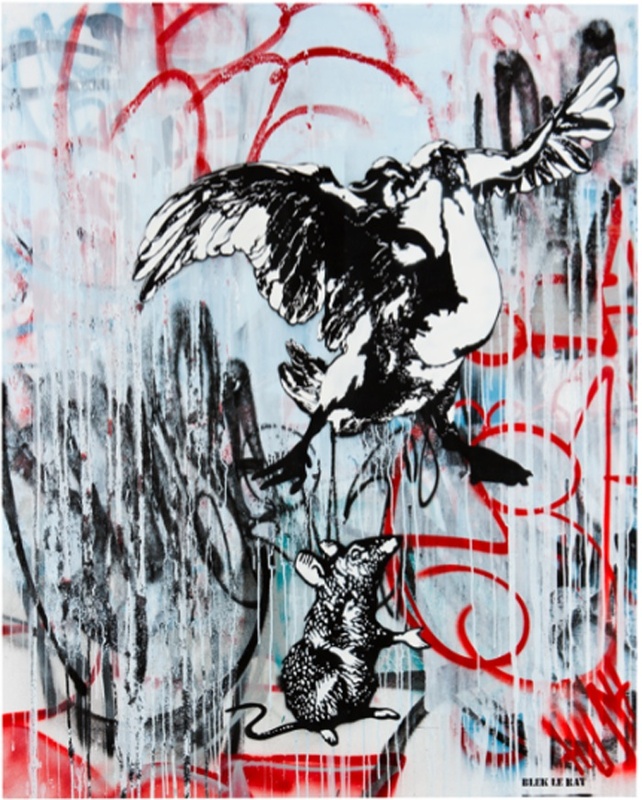 "Blek Le Rat is one of my favorite street artists - a true original. I was very excited to contribute a chapter to this seminal book about his work." Blek Le Rat: The 30 Year Anniversary Retrospective celebrates the work of Xavier Prou a.k.a. Blek le Rat, the Parisian born artist who is commonly regarded as the godfather of stencil graffiti. Blek le Rat is one of the most prolific stencil graffiti artists of his generation, applying his trademark rats and iconic imagery around the world since New Year’s Eve, 1981. Jon Reiss contributed a chapter to this historic book. Other contributors include Jonathan LeVine (Jonathan LeVine Gallery), Jeffrey T. Iverson (Time Magazine), Carol Kino (New York Times), Russell Howze (author of Stencil Nation: Graffiti, Community, and Art), Carlo McCormick (culture critic, curator and senior editor of Paper Magazine), Waldemar Januszczak (Britain’s most distinguished art critic, writer for Sunday Times) Jean-David Malat (Opera Gallery), Justin Giarla (White Walls Gallery), and Anthony Lister (painter and installation artist), among others.